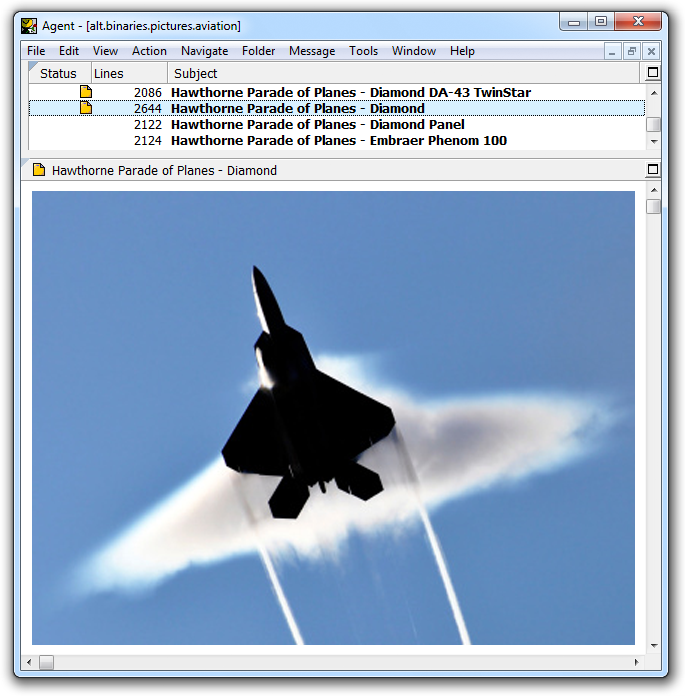 Forté has optimized and redesigned Agent 8 to work seamlessly with large Usenet binaries. Now you can select, download and view large Usenet binaries with just a single click. Agent will download, join, and repair your binaries without requiring any 3rd party software. Agent provides a better user experience by joining related Usenet headers into a single “Mega” message that can reduce the number of messages in a binary newsgroup by a factor of 100. MegaJoin is a proprietary pattern-matching technology developed for Agent and does not require any additional 3rd party software. Agent will automatically download and join archived RAR or Split files. Now you can watch or listen to media files without any hassles. Agent will automatically download only the PAR files needed to repair a damaged file. You don’t have to do a thing because Agent does it all for you. Agent enables you to download and preview a small sample of a RAR archive to ensure you are downloading the content you expect. After previewing the video, you can download the remaining files with a single click. Agent samples each media file to determine if a password is necessary to extract the content. If a media file requires a password then Agent prompts you to decide how to proceed. You can instruct Agent to always to cancel password-protected RAR downloads to avoid scams and other malicious content. Agent allows you to preview binary images while you download so you can quickly and easily sample newsgroups to ensure you get the content you expect. Watch the Binary Pictures tutorial to learn more. Agent gives you complete control over how and where to save binary files on you computer. Watch the Binary Attachments tutorial to learn more. Agent can get headers and bodies independently from different servers. If one server becomes unavailable Agent will automatically switche to a different server. Agent will automatically combine content from multiple servers to fill in missing messages. Agent automatically utilizes the maximum number of connections available on all your news servers while Agent's Task Manager prioritizes header and body downloads in parallel. Provides a rich set of commands for search, navigation, and filtering for text newsgroups. Collects email from multiple POP accounts, sends via multiple SMTP servers. Send and receive email seamlessly from multiple POP accounts and SMTP servers while avoiding viruses and trojans. Render HTML on your terms and only download images from contacts you trust. Agent learns to route and file email automatically as you drag messages to folders. Lets you create multiple identities, so Usenet groups and email recipients see only the person you want them to see. Automatically memorizes what personas you use as you enter contacts on a new email and advises you of any conflicts. Combines advanced Bayesian statistics with identity management to remove junk messages without losing messages from your trusted contacts.